A simple estimate form. 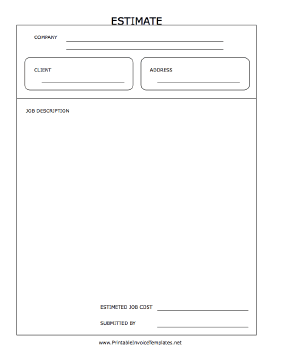 It has lots of room for the job description, cost estimate, and other details, and company and client information is nicely formatted in boxes at the top. It is available in PDF, DOC, or XLS (spreadsheet) format.